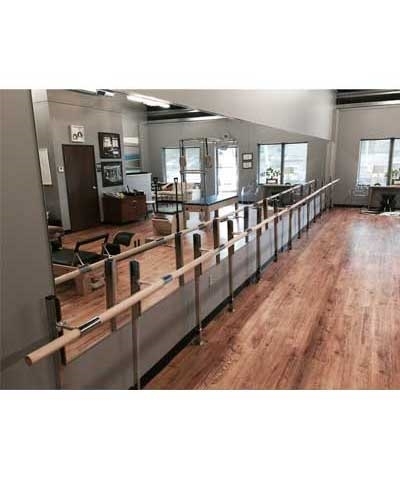 The Floor Mounted Fitness Barre is the perfect barre in front of mirrors or windows. The barre features 1.75" diameter Ash Wood Bars and sturdy chrome plated steel uprights. Bar easily adjust from 31" to 45". Perfect for any Barre, Fitness or Yoga Studio. Uprights are mounted every 4' for additional strength and support and will easily meet the rigorous requirements of todays barre exercises. 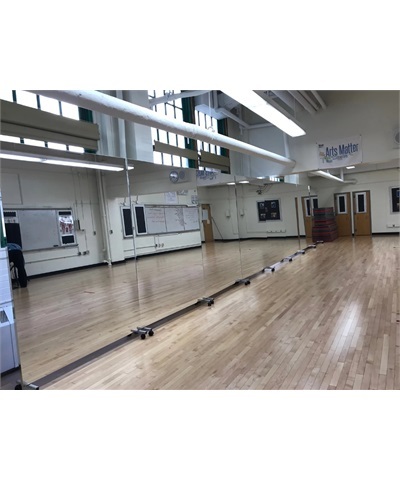 This Fitness Barre system features either 4' or 8' Ash Barres or a combination of the two connected or sleeved together on the ends or in the center with our adjustable connector brackets. Bar is made of hand sanded, unfinished natural colored blonde Ash wood with a 1.75" diameter. Suitable for staining. Available lengths 4', 8', 12', 16', 24', 32', 40', 48'. 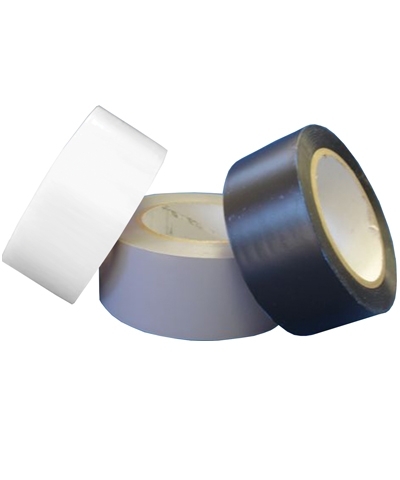 Additional lengths are available.